Recently Bank Asia Limited Published New Job Circular on Their Official Website www.bankasia-bd.com. 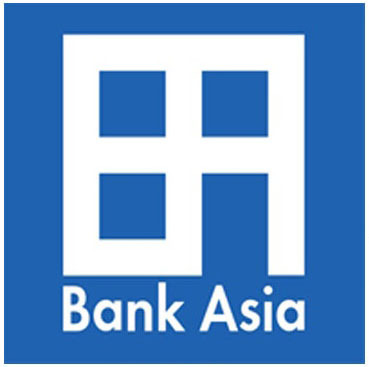 Bank Asia Limited is one of best Commercial Banks in Bangladesh. The Bank Headquarters in Dhaka, Bangladesh. The Bank Asia Limited working in Online Payment gateway system. Bank Asia Limited Using their Payment Gateway merchants are able to charge their customers Visa and Master Card. Presently Bank Asia Limited has many E-commerce Merchants. 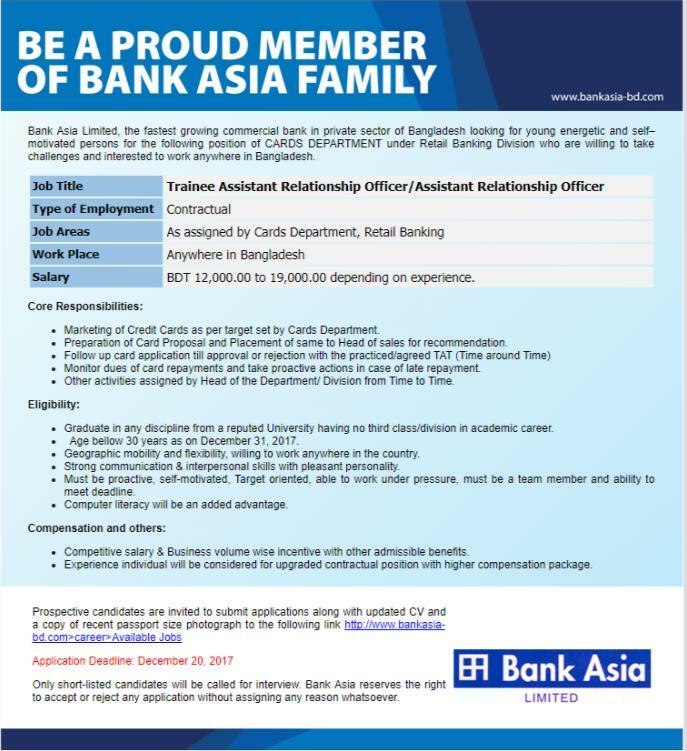 Recently Bank Asia Limited announced a new vacancy Of position Trainee Assistant Relationship Officer. If you are interested this job, please check bellow given original circular and apply the job post. Salary: See Job Circular Image. Application Process: Online Application, For apply direct application link. Bank Asia Limited plays an vital role in Bangladesh economical area. For any qualify job seeker, this bank job is very demand-able in Bangladesh. Day by Day Bank Jobs is well liked and opportunity high standard jobs in for any graduate person who is interested with bank job. Every bank provides lot of advantage such as excellent salary, career development, good salary, yearly increment bonus, smart festival bonus and leave etc. CHomeBD.Com presenting Bank Asia Limited Job Circular 2017 all about related information. 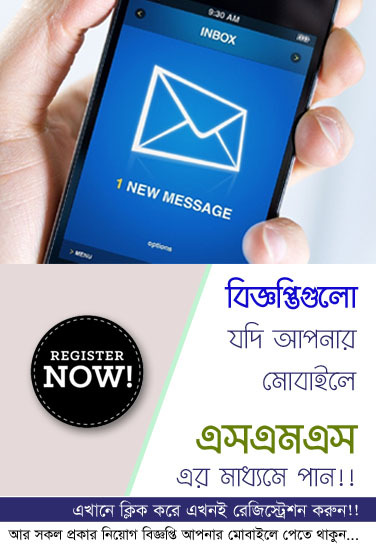 We mention total information including publish date, last date of job circular, number of vacancy, post title and more.